Publisher of Law Journals - Services - Maris B.V.
- A comprehensive information service with focus on oil-gas-energy law, regulation, treaties, and judicial and arbitral cases (see info below or visit www.ogel.org). is a peer-review online journal publishing about various aspects of international arbitration with a special focus on investment arbitration. Since the first issue was published in 2004 it has gained popularity among a large number of law firms, academics and other professionals in the field of arbitration. 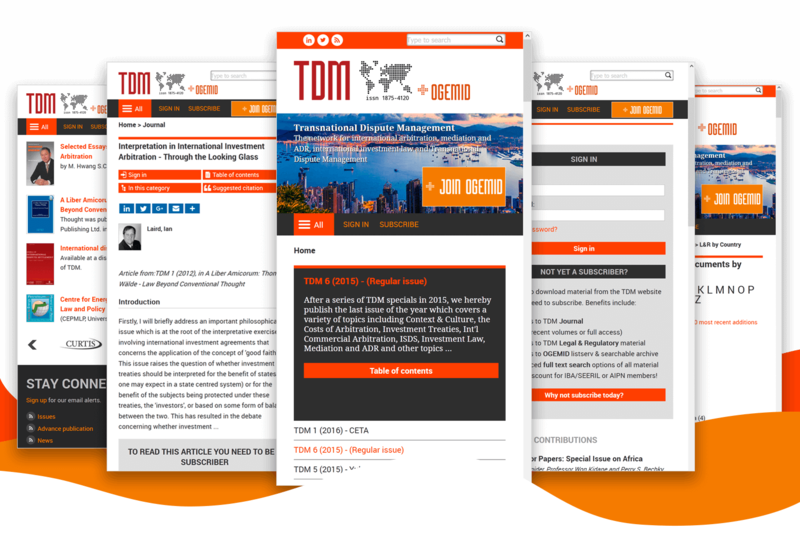 A TDM subscription includes A) access to the journal; B) OGEMID forum membership; C) the Legal & Regulatory database; and D) the Audiovisual library. Readership includes International Institutions/Governmental Organisations/NGOs, Universities, Law firms/Consultancies/Other. TDM 1 (2010) - Regular issue, "Costs of Arbitration" and "Rules & Best Practices" etc. TDM 2 (2009) - The Protection of Intellectual Property Rights through International Investments Agreements - Only a romance or true love? TDM 2 (2005) - Appeals and Challenges to Investment Treaty Awards: Is It Time for an International Appellate System? is a peer-reviewed academic journal covering all aspects of law pertaining to oil, gas, and energy in general. Since the first issue was published in 2003 it has gained popularity with a large number of (international) energy companies, governmental organisations, law firms, international agencies, academic and think-tank institutions in the field of energy policy and various NGOs. 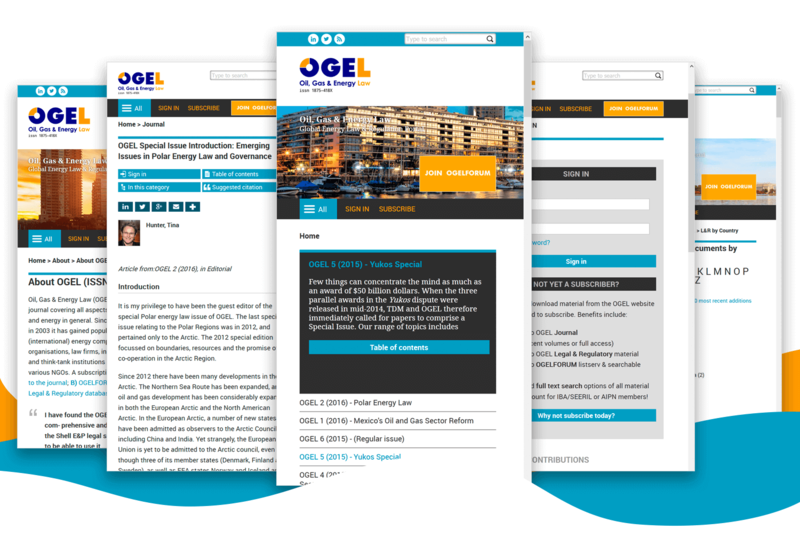 A subscription to OGEL includes A) access to the journal; B) OGELFORUM membership; and C) the Legal & Regulatory database. Established reputation for quality: leading (inter)national law firms and universities amongst our readership. Always stay up-to-date about new trends and insights in international and regional energy policies. Join OGELFORUM: Discussions on policy, legislation, contracting, security strategy and climate change related to energy. Save time with our Legal & Regulatory database, containing more than 6500 documents from over 200 countries. Readership includes International Institutions/Governmental Organisations/NGOs, Energy Companies, Universities, Law firms / Consultancies / Engineering.